List of Contributors. Preface. Section I. Strategies for spinal cord injury repair. 1. Strategies for spinal cord injury repair (D.M. McTigue, P.G. Popovich, L.B. Jakeman and B.T. Stokes). 2. Cell death and plasticity after experimental spinal cord injury (M.S. Beattie, Q. Li and J.C. Bresnahan). 3) The multi-domain structure of extracellular matrix molecules: implications for nervous system regeneration (S. Meiners, M.L.T. Mercado and H.M. Geller). 4. Spinal cord injury-induced inflammation: a dual-edged sword (J.R. Bethea). 5. Immunological regulation of neuronal degeneration and regeneration in the injured spinal cord (P.G. Popovich). Section II: Plasticity of the injured spinal cord: retraining neural circuits to promote motor recovery. 6. Plasticity of neuronal networks in the spinal cord: modifications in response to altered sensory input (K.G. Pearson). 7. Neural plasticity as revealed by the natural progression of movement expression - both voluntary and involuntary - in humans after spinal cord injury (B. Calancie, M. Del Rosario Molano and J.G. Broton. 8. Laufband (LB) therapy in spinal cord lesioned persons (A. Wernig, A. Nanassy and S. Müller). 9. Spinal and supraspinal plasticity after incomplete spinal cord injury: correlations between functional magnetic resonance imaging and engaged locomotor networks (B.H. Dobkin). Section III. Impact of neuroprosthetic applications on functional recovery. 10. Impact of neuroprosthetic applications on functional recovery (J.K. Chapin). 11. Nerve cuffs for nerve repair and regeneration (J.A. Hoffer and K. Kallesøe). 12. Cortical motor areas and their properties: implications for neuroprosthetics (P.D. Cheney, A. Belhaj-Saïf, B.J. McKiernan, M.C. Park and J. Hill-Karrer). 13. Network level properties of short-term plasticity in the somatosensory system (D.J. Krupa and M.A.L. Nicolelis). 14. The reorganization of somatosensory and motor cortex after peripheral nerve or spinal cord injury in primates (J.H. Kaas). Section IV: Neurotrophins and activity-dependent plasticity.15. Neurotrophins and activity-dependent plasticity (H. Thoenen). 16. Differences in the regulation of neuropeptide Y, somatostatin and parvalbumin levels in hippocampal interneurons by neuronal activity and BDNF (S. Marty). 17. Long-term regulation of excitatory and inhibitory synaptic transmission in hippocampal cultures by brain-derived neurotrophic factor (M.McL. Bolton, D.C. Lo and N.T. Sherwood). 18. Neurotrophins and activity-dependent inhibitory synaptogenesis (F.J. Seil and R. Drake-Baumann). 19. Modulation of hippocampal synaptic transmission and plasticity by neurotrophins (B. Lu and W. Gottschalk). 20. Neurotrophin-evoked rapid excitation of central neurons (K.W. Kafitz, C.R. Rose and A. Konnerth). Section V. Candidate cells for transplantation into the injured CNS. 21. Candidate cells for transplantation into the injured CNS (I. Fischer). 22. Autoimmune involvement in CNS trauma is beneficial if well controlled (M. Schwartz). 23. Olfactory ensheathing glia transplantation into the injured spinal cord (A. Ramón-Cueto). 24. Precursor cells for transplantation (M.S. Rao and M. Mayer-Proschel). 25. Potential use of marrow stromal cells as therapeutic vectors for diseases of the central nervous system (D.J. Prockop, S.A. Azizi, D.G. Phinney, G.C. Kopen and E.J. Schwarz). 26. Neurobiology of human neurons (NT2N) grafted into mouse spinal cord: implications for improving therapy of spinal cord injury (V.M.-Y. Lee, R.S. Hartley and J.Q. Trojanowski). 27. Grafting of genetically modified fibroblasts into the injured spinal cord (Y. Liu, M. Murray, A. Tessler and I. Fischer). Section VI: New directions in regeneration research. 28. Delivery of therapeutic molecules into the CNS (M.E. Emborg and J.H. Kordower). 29. Neurotrophin small-molecule mimetics (Y. Xie and F.M. Longo). 30. Tissue engineering strategies for nervous system repair (P.A. Tresco). 31. In vivo neuroprotection of injured CNS neurons by a single injection of DNA plasmid encoding the Bcl-2 gene (R.A. Saavedra, M. Murray, S. De Lacalle and A. Tessler). While a cure for spinal cord injury remains elusive, the contents of this volume convey a sense of progress towards this goal. More has been learned about the primary and secondary consequences of spinal cord injury and more is being understood about recovery mechanisms that are intrinsic to the nervous system and that might be further encouraged. Expanding the control capacity of uninjured portions of the nervous system may be one approach to improving the functional capabilities of those afflicted with this disorder. New therapies in the form of transplantable cells that can encourage growth or myelination or prevent secondary damage or that can substitute for injured cells appear promising for future applications. Genetic and tissue engineering studies give us further hope, and under continuous development are novel drugs with greater specificity and fewer detrimental effects and improved delivery methods for such drugs. 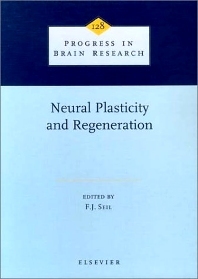 The volume is organized into six topic sections, including I) Strategies for Spinal Cord Injury Repair, II) Plasticity of the Injured Spinal Cord: Retraining Neural Circuits to Promote Motor Recovery, III) Impact of Neuroprosthetic Applications on Functional Recovery, IV) Neurotrophins and Activity-Dependent Plasticity, V) Candidate Cells for Transplantation into the Injured CNS and VI) New Directions in Regeneration Research. Both clinical and experimental animal studies are presented in the first three sections, while predominantly basic research is the focus of the second half of the book.